​At St. John's we believe money should not be the central theme of church, nor should it be an omitted theme. 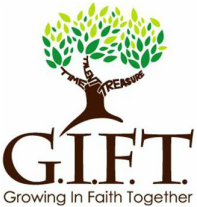 We understand that the giving of our financial resources is an act of faith. Online gifts are received securely through PayPal®. All online gifts are applied to the general church budget. If you would like to make a stock gift or leave part of your estate to St. John's Church, you may contact our treasurer, Marilyn Mitchell (mmitchell.woodland@gmail.com) to work out any and all details.